I made it a point to go without shaving a month before my college graduation. The beard was my own subtle protest. But I wasn’t protesting the school really. Sure, I didn’t get the absurd, life-changing education of Hollywood movies, but I didn’t regret my time at the University of Florida. I’d had a good time, enjoyed the relaxing pace of college life. I wanted that beard for posterity’s sake. I wanted that beard so that when I looked at my college graduation picture years from then, I would remember how I felt sitting in that audience of clean-shaven and tidy classmates. I felt a lot like my own beard: unclipped in the world, no longer interested in the image I kept up in college, growing wildly at weird angles. I’m happy in that graduation picture. I’m happy because I know that I’m taking a step in a different direction from my classmates once I get off the stage. When my kids are young and they see my college graduation photo, I hope they’ll laugh and stare in astonishment at my young face. When they get older, I hope they’ll laugh again, this time because they exactly what is on my mind. This is me in free-fall and loving it. 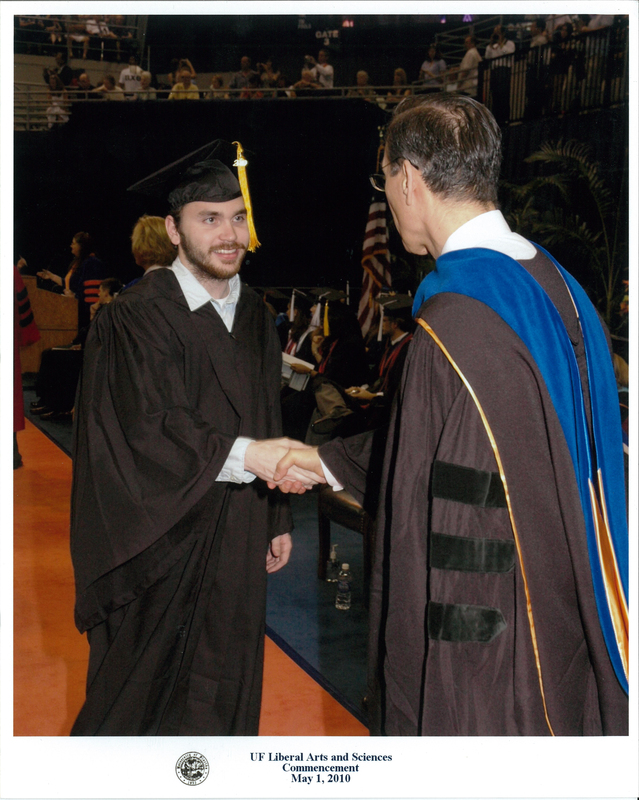 This entry was posted in The Word and tagged beard, free-fall, Graduation, protest, University of Florida. Bookmark the permalink.